Q. What is on the 2nd floor of the library? When this lab is not in use by librarians for instructional purposes, the lab is open for students to use to complete their assignments and projects. External parties can also book the lab through UNBC Conference Services. 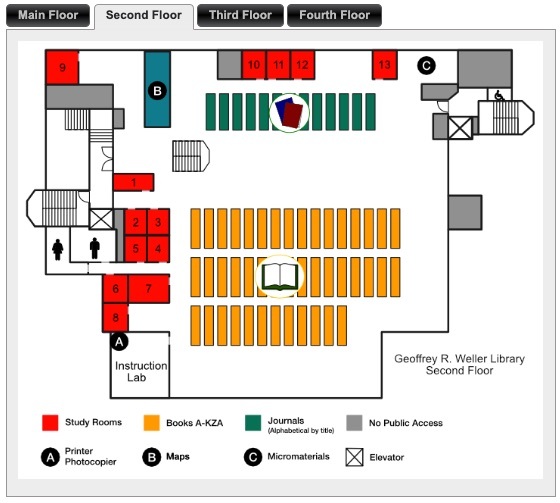 There are 13 study rooms located on the 2nd floor of the library, which are perfect for group and individual study. Click here for more information. If all of the study rooms are booked, you can always work at one of the big tables in the reading room or work at an individual study carrel. Not all articles are available electronically. Our print holdings are located on the 2nd floor of the library in the compact shelving (the shelves with steering wheels). The journals are organized by title and then by volume and issue.